Trust drives sales. People will only buy from brands and companies that they know and trust and if they feel confident in your abilities and your solution. This workbook offers a systematic way to build that trust and drive new clients to your company. Establishing an effective content marketing strategy allows you to connect with your audience and share useful content while positioning your company as a thought leader. 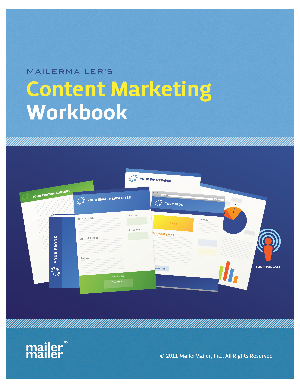 MailerMailer's Content Marketing Workbook will guide you through this process and offer specific techniques that will result in better quality leads and increased sales. Discover new ways to nurture leads so they become sales-ready.